In the 60's, breakfast cereal was the market to be in! It seemed like a new brand came out every week, and it looked better than the one before it. Saturday and Sunday mornings were the best times for these. 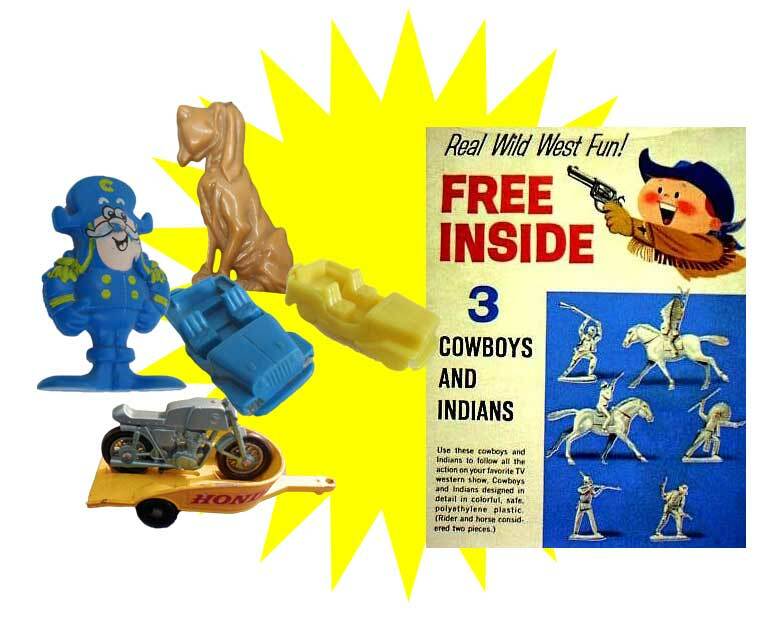 I used to have a plastic cowboy hat cereal bowl, and cowboy boot milk cup. Of course, I was much younger then, and I eventually graduated to the real thing. As I grew, so did the enticing list of breakfast cereals in the world. 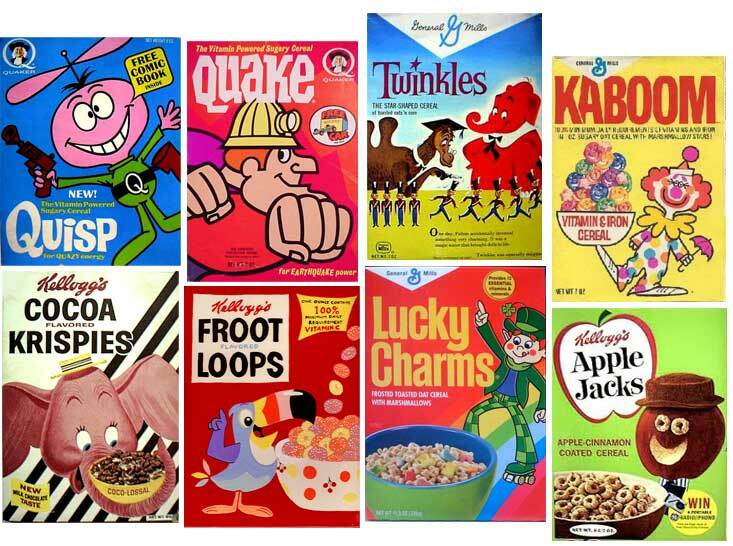 The variety of 60's breakfast cereal is, in fact, is so overwhelming, that I couldn't begin to list each one here. What genius could have possibly come up with the idea of free toys inside the cereal boxes? These were the best things ever! Some had to be sent away for with either a small amount of money, or several box tops. These offers added a new expression to my youthful dictionary: "Proof of Purchase". My greatest acquisition was a Matchbox Motorcycle, a new toy that hadn't yet been released on the market. I collected Matchbox cars like a madman, and naturally had to have this new one. The free stuff had no limit; coloring books, puzzles, collectible cards and more came inside these boxes. Pop Tarts! Pop Tarts were the greatest things I'd seen in years. Strawberry and blueberry were my favorite flavors. Straight from the toaster, and steamy hot, these were great on cold winter mornings before heading out the door to school. 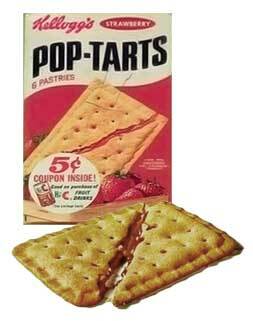 Pop Tarts came into our household between 1965 and 1966. Not always available on the store shelves was my favorite cereal: Rice Krinkles It's hard to describe these for anyone who may not remember them, but they were flavored like Rice Krispies, only coated with a sweetened flavor. I think the cereal with it's loveable Chinese mascot So-Hi was discontiued in the latter sixties. It was still my favorite, and got lots of advertising on the Rocky & Bullwinkle Show and of course, one of my favorite programs Fractured Fairy Tales. I can't even think about Boris & Natasha without recalling Rice Krinkles. These wonderful breakfast cereals, along with their colorful boxes, and greater advertising gimmicks have a special place in my heart as they were as much of me as anything could be.